OPERATIVES from the London Metropolitan Police are to give evidence when the trial of the Chairman, Bi-Courtney Highway Services, Dr. Wale Babalakin, finally begins at a Lagos High Court, Ikeja. A senior lawyer privy to the goings-on in the case told our correspondent on Sunday that the Met police investigated the involvement of Babalakin and others in the alleged laundering of N4.7bn on behalf of the convicted former governor of the state, James Ibori. “The United Kingdom metropolitan police investigated the case. They just finished their investigation. That is why they are going to give evidence in the case, because it is their case,” the source, who is a Senior Advocate of Nigeria, said. The EFCC had charged Babalakin along with Alex Okon with 27 counts of helping Ibori to siphon the sum in 2006. The arraignment, initially scheduled for November 29, 2012, could not hold due to Babalakin’s absence in court. He was said to be on admission at the Lagos University Teaching Hospital. The source told our correspondent that the money looted by Ibori was discovered to be part of Delta State fund used by the former governor to buy a jet in Canada. 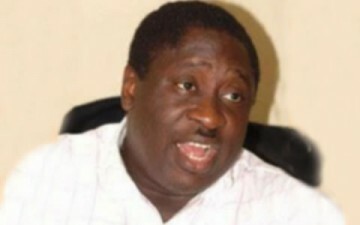 He said the EFCC was right to charge Babalakin in a court within the country which is where the money originated from. “The issue of charging him in Nigeria when it was the UK police that investigated the matter cannot raise any jurisdictional issue because the money originated from here,” he said. The EFCC, in the charge sheet, claimed that Babalakin used different companies as conduits to carry out the alleged shady deal. The companies scheduled to be arraigned with Babalakin and Okon are Stabilini Visioni Ltd., Bi-Courtney Ltd., and Renix Nigeria Ltd. The EFCC alleged that the accused had fraudulently assisted Ibori to transfer various sums to Erin Aviation account in Mauritius for the purchase of a Challenger Jet. The anti-graft agency said the transactions took place between May and September 2006. EFCC counsel, Mr Rotimi Jacobs (SAN), had expressed shock at the excuse given by Babalakin’s counsel, Mr. Ebun Sofunde (SAN), for his client’s absence in court on the scheduled date for the arraignment. Jacobs had alleged that Babalakin wanted to frustrate his arraignment. He had told the court that he did not believe the medical report tendered by Sofunde because it was issued on November 26, 2012, the same day Babalakin met with the EFCC in Abuja. He said, “It took the EFCC close to a week to get him. He was served with all the processes and released because he took an undertaking that he would appear in court for his arraignment. “We believe if there is a medical issue that he should have contacted us a day earlier (November 28) rather than to confront us with this application this (November 29) morning.